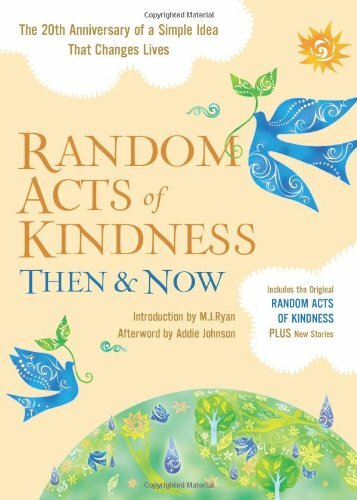 Are you here to get some awesome and inspiring random acts of kindness for kids ideas? Great! Then you’re in the right place because we’ve got over 67 incredible acts of kindness for kids in this one post, including a free 30-day kindness challenge. Acts of kindness are a wonderful opportunity for kids to learn how to show love in action to those in our family, our community and our world… and they’re really fun! 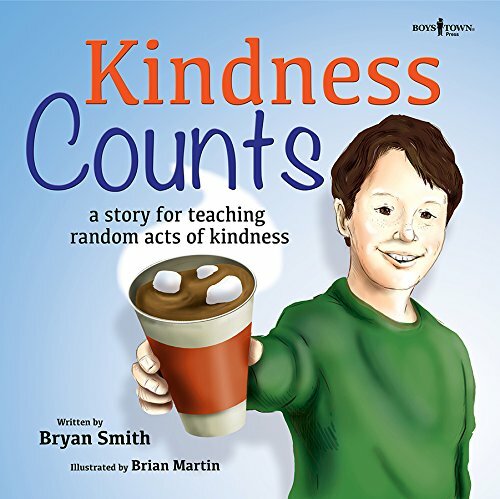 Best of all, random acts of kindness for kids encourage kids to think outside of themselves and begin asking, “How can my life change others?” Kindness acts encourage kids to think like world changers! Here’s everything you need to know to perform your own acts of kindness with your kids–plus 67 amazing ideas! What’s A Random Act of Kindness? An act of kindness is just that–something unexpected done by one person that blesses someone else. Sometimes these acts of kindness are done anonymously (or not). And sometimes a person personally knows the person receiving the kindness act (and sometimes not). No matter what you decide to do, if you’re helping someone else, you’re performing an act of kindness. Your Vibrant Family hosted a 30 Days of Kindness challenge recently with week-by-week challenges. 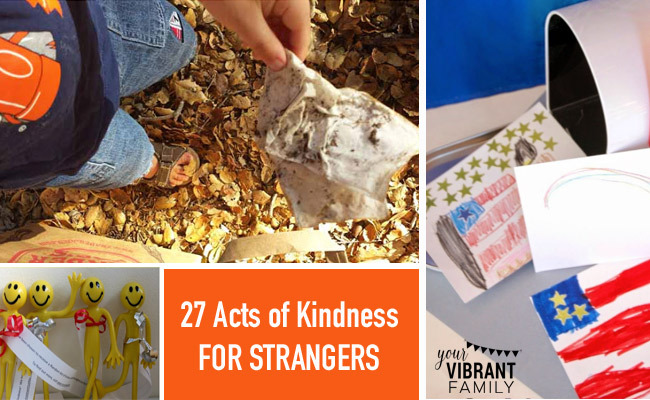 These acts of kindness activities are made just for kids and perfect for families. What’s great is that you can start the 30-day acts of kindness for kids challenge whenever you’d like! All the activities are detailed out and ready to go. 1) Plan your activities around random acts of kindness annual holidays. 2) Plan your own random acts of kindness challenge. Gather up a plethora of acts of kindness of kids ideas and activities by following my “Acts of Kindness” Pinterest board here. 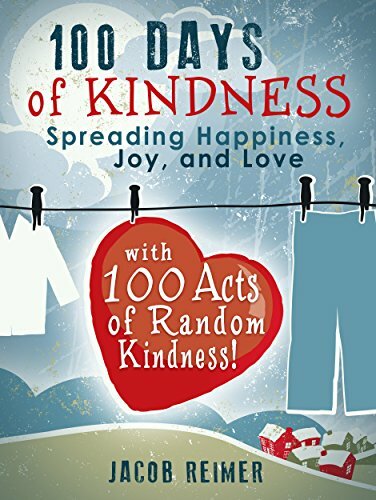 Or simply go here to see how we structured our 30-day kindness challenge. 3) Plan acts of kindness during the Christmas season. The holidays are a natural time to give to others unconditionally! Penny shared her family’s favorite ways to countdown to Advent with 25 Random Acts of Christmas Kindness; and Renae from Every Star Is Different shares hers here and here. 4) Make random acts of kindness a regular habit. Some families challenge themselves to do one act of kindness project a month. Renae shares here how her family planned a year of acts of kindness activities. 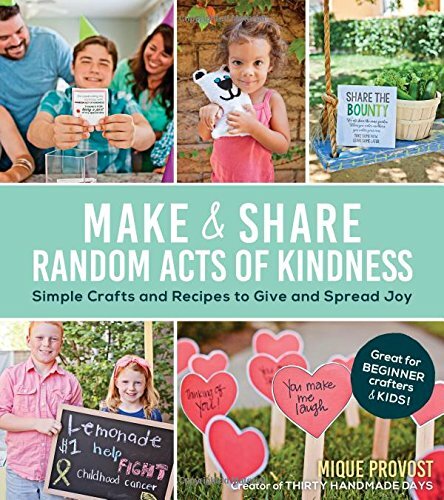 Do you want to read some inspiring acts of kindness stories or even get step-by-step instructions on how to make acts of kindness crafts for kids? These are some of our family’s favorites! Now… let’s get to that massive list of random acts of kindness for kids ideas! 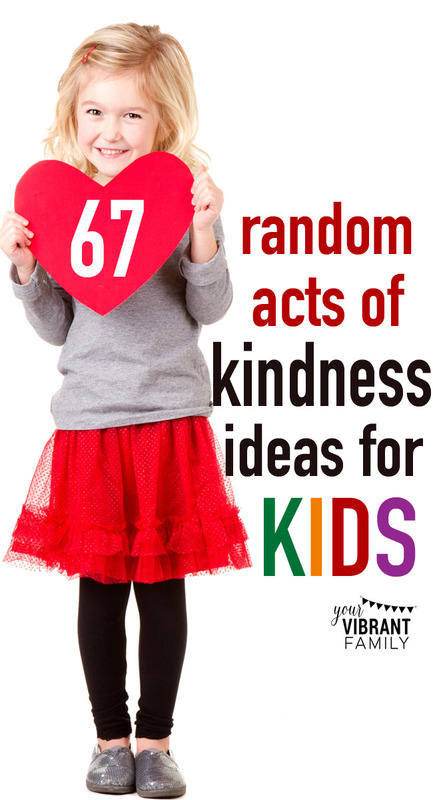 There are 67 kindness ideas in this post! I’ve divided them up into different categories so that you can best determine which ones are you want to add to your family’s acts of kindness activity list. First, let’s talk about acts of kindness by kids for kids! Of course kids and adults can complete these random acts of kindness for kids ideas, but it’s especially fun to think that kids can help other kids with these kind deeds. 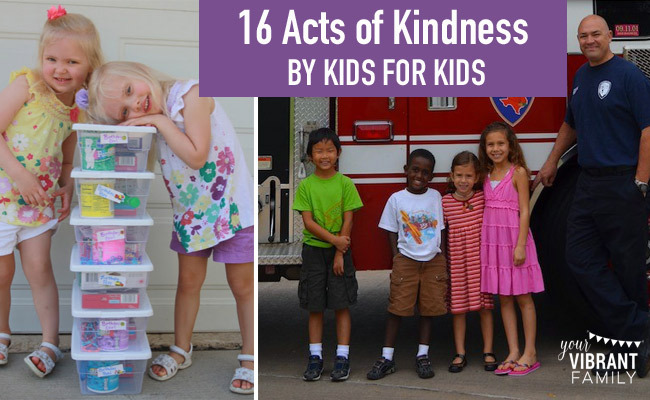 These are especially great as random acts of kindness activities for school classrooms. 1) Create a “Birthday Box” for kids who can’t afford to celebrate (thanks to Janae at I Can Teach My Child for this great idea)! 3) Have your child hand out a simple toy and message to another child (Chelsea from Moments A Day shares her idea and story here). 4) Offer to help pack meals for undernourished children at a Feed My Starving Children location (there are seven locations across the US). 5) Take your kids on a short-term missions trip! For two years in a row, my daughter and I have been able to bless deaf children in Mexico (and are always even more blessed ourselves). 6) During the fall, pack a shoebox for Operation Christmas Child. This is a holiday tradition for our family! You can even volunteer at one of their distribution centers. 7) Sponsor a child from around the world through organizations like Compassion International. You’ll be able to write to your child and can pray for them regularly. 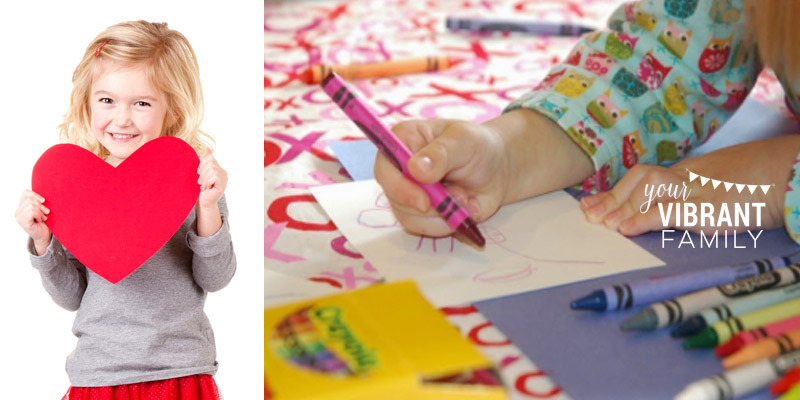 8) Grab crayons and coloring books and leave them in the waiting room of your local pediatrician’s office. 9) Assemble simple craft kits in bulk (or buy kits with pre-gathered supplies like these) and give them to a local children’s hospital for their play area. Hint: Buy a large kit like this Fuzzy Animals Kit or Fashion Headband Kit and break it down into individual kits to make this affordable. 10) Consider growing your hair and donating it to Locks of Love, an organization that makes hairpieces for children suffering from hair loss due to any medical condition. 11) Grab a book such as Window on the World and learn about how to pray for kids in other countries around the world. You can also use these free prayer cards to help! 12) Or send your books to a child in Africa who needs it via Books for Africa. 13) Speaking of Africa, plan a Sole Hope party: a way to make shoes for kids in Uganda so that their feet stay safe from painful bugs called Jiggers. Read more (and get step-by-step instructions) here. 14) Collect items for other kids organizations in need, such as a local Ronald McDonald House, or this organization dedicated to helping kids touched by HIV/AIDS. 15) Gather loose change in a leftover baby bottle to give to a local crisis pregnancy center. 16) Make a baby-blanket-sized quilt from leftover scraps, or even put together a simple knotted blanket (here are some great pre-assembled kits) for groups like Project Linus. 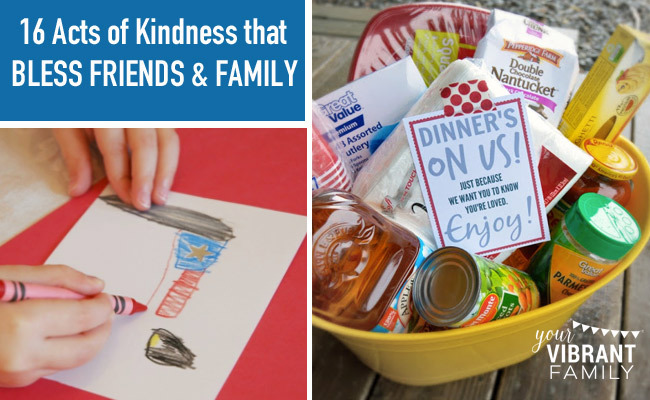 Check out these acts of kindness for kids designed to bless those we love the most–our family and friends! 18) Give an adult coloring book like one of these to a mom you know is needing some creative release. 19) Rake leaves or shovel snow unexpectedly for a neighbor, especially one that you know is elderly. 20) Offer to put the trash cans away for a neighbor. 21) Offer to weed or clean up your neighbor’s yard. 22) Do a simple date night exchange once a month with another family. 23) Leave a piece of candy on your child’s pillow before bedtime. 24) Call a friend just to see how she’s doing, and offer to pray for her. 25) Bring dinner to a family in need. B-Inspired Mama has a free adorable “Dinners On Us” tag you can download here. 26) Leave one of these pre-written love notes on a spouse’s desk or inside a child’s backpack. 27) Tell your friends and family how much they have changed your life (I did this to the 40 most influential people in my life for my 40th birthday last year). 28) Celebrate a family member by serving them dinner on this special “You Are Special Today” red plate (our family has done this for years and our kids love it)! 29) Tell each of your kids one thing that you’re especially proud of. 30) Make someone laugh with your favorite video or joke. 31) Share an encouraging scripture with a friend. 32) Take a friend out of coffee just because. Whether or not you believe in karma, the concept of “pay it forward” by doing acts of kindness for a stranger (that you may never even meet!) is a wonderful kindness challenge idea. 33) Have your whole family write letters to troops stationed overseas via an organization like A Million Thanks (Ellen from Cutting Tiny Bites shares her family’s story here). 34) Draw pictures or write thank you letters and drop them off at local military base. 35) Tidy up your home and give away stuff that no longer brings you joy. 36) Pick up trash at a local park or nature area. 37) Leave a generous tip (especially for those working on a holiday) with an encouraging Bible verse about joy. 38) Gather a few mom friends and offer to throw a baby shower for a pregnant mom working with a pregnancy resource center. 39) Adopt a local military mom whose husband is overseas. 40) Help a mom with little ones put her groceries in her trunk while at the grocery store. 41) When in a picture-taking spot, offer to take a picture for the family next to you. 42) Hand out flowers in front of the grocery store (ask permission from store management first). 43) Hold the door open for someone else. 45) Tape quarters to the side of a vending machine. 46) Write an encouraging message (with a Bible verse about happiness) on an index card and leave it in a library book. 47) Grab some doggie waste bags and pick up doggie-doo-doo you see on your next walk. 48) Donate your used books to a local doctors office. 49) Pay for the person in line behind you at the drive-thru. 50) In summer, bring cold drinks to construction workers at a local work site. 51) At the grocery store, leave your unused coupons on the shelf next to the product. 52) Let the person in line behind you go first. 53) Offer to return someone’s cart for them at the grocery store. 54) Bring board games or playing cards to a homeless shelter or halfway house. 55) Volunteer at a local animal shelter to walk dogs, clean cages or just play with the animals. 56) Visit a local nursing home and drop off bouquets of flowers from your yard. 57) Volunteer to play games or puzzles at a retirement home. 58) While at a restaurant, anonymously buy dinner for the family at the table next to you (you won’t believe their expression)! 59) Smile at every person who crosses your path for the day. Last but not least, here’s 8 amazing food-related acts of kindness! These can be for anyone–a family member, a friend, or a stranger! Kids love doing these because many of them involve dessert! Yes, even giving food can be a great acts of kindness idea! 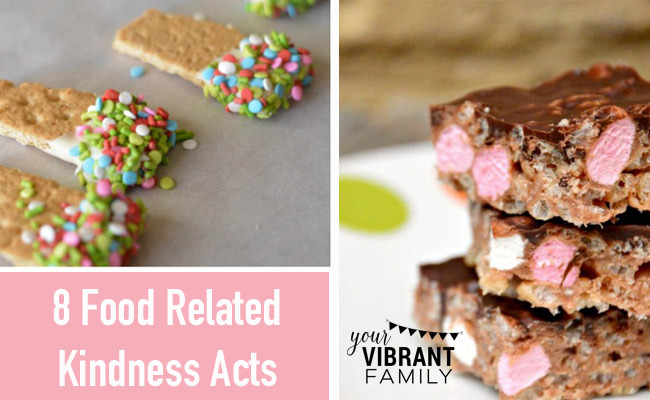 Check out these especially “sweet” random acts of kindness for kids. 60) Give a sweet treat unexpectedly to a friend (here’s a yummy Marshmallow Rice Krispie Treat recipe from Red Ted Art). I’ve also got a whole bunch of incredible dessert ideas here on my Pinterest board. 61) Drop off thank-you letters and cookies at the local fire station. 63) Plan a neighborhood food drive like the one Jacque from KC Adventures shares about here. 64) Create a “survival kit” for local police (Gifts U Can Make shares the PDF link here). 65) Bake lots of cookies and make a plan to hand them out to friends, family and community workers (check out Every Star Is Different’s ideas here). 66) Create blessing bags to give away to the homeless! Keep these in your car and give them away when you see someone in need. Include essentials such as a water bottle, soap, razor, granola bar, socks (buy socks here in bulk). 67) Volunteer to feed the homeless at a local soup kitchen. Or better yet, gather a group of families and plan all the food for one meal at the soup kitchen. Be sure to spend time talking to the men and women there and eat dinner together. That’s it! Which ideas will you try with your family? May you be blessed for blessing others with acts of kindness! 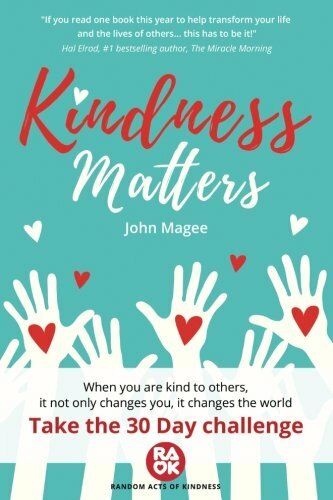 You can see how we put together our kindness challenge here, which included Bible verses and resources with the ideas. Please pin and share this post so that others can be inspired to do random acts of kindness with kids too!